EA Sports UFC 3 review code provided by the publisher. 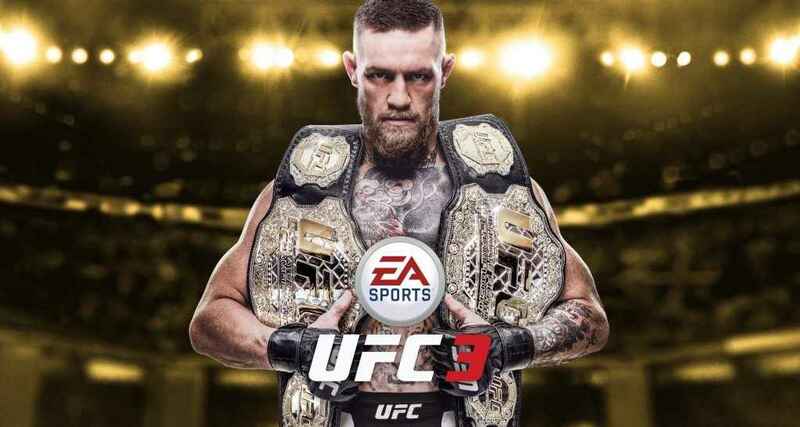 EA Sports UFC 3 wastes no time in making the most of its cover star, the Notorious Conor Mcgregor; as a slick video package charting the meteoric rise to stardom of the brash Dublin firebrand is then followed up by a tutorial fantasy matchup between the man himself and real-life contender Tony Ferguson. In short, EA Sports UFC 3 hits the ground running and though this bombastic introduction underscores the stellar audiovisual presentation that is threaded through every strand of EA Sports UFC 3 creative DNA, it also serves as timely reminder that EA is done playing around and that, indeed, their third stab at the UFC license is the real deal. Quite honestly, it’s the feel of two highly trained, Mixed Martial Arts gladiators absolutely leathering the crap out of each other that EA Sports UFC 3 gets the most right. More than ever before, each of the fighters in EA Sports UFC 3 carry a truly pronounced feeling of weight and heft. From the almost imperceptible snap of Demetrious Johnson's step-in jab, to the markedly more telegraphed and potentially fight-ending rear head kick of current champ Stipe Micoic; every single combative action in EA Sports UFC 3 has a real sense of physicality assigned to it which separates it from any other fighting game on the market. Everything from the striking to the grappling feels great in EA Sports UFC 3. Beyond the palpable thud of shin bone slamming into the meat of an opponent's calf, or the sickening squelch as furious hammerfists smash up a prone foe's facial features, EA Sports UFC 3 convincing conveyance of physicality is also expertly reflected in other, less aggressive actions too. 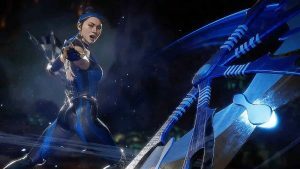 Whether you're just changing stances, edging forward with your lead leg or swaying your head to avoid a stunning hook, all of it just feels right and the sublime animation manages to further cement that impression with aplomb. Further continuing the ground work lain by its predecessor, EA Sports UFC 3 fully embraces all facets of Mixed Martial Arts, ranging from the striking and grappling disciplines through to the footwork and submission elements of the sport. As before, this lends EA Sports UFC 3 a level of complexity that many other fighting games simply do not possess because though 100% of fights begin standing up, there are all sorts of striking, grappling and submission exchanges which can occur to vary the outcome of the contest. In this way, the potential for fight strategy is limitless. Whether you're ripping vicious hooks to the body to deplete an opponent's stamina, faking a pawing jab to secure a takedown en route to a submission, or, baiting an opponent in to commit to an overextended attack so you can close the distance with a brain scrambling jab, cross and uppercut combination, the sheer volume of tactical possibilities available to the player is dizzying and ensures that each and every fight will never play out the same. Ostensibly, and more so than any other fighting game on the market, a big part of any fighting strategy in EA Sports UFC 3 should be about managing your stamina reserves whilst simultaneously forcing your opponent to deplete theirs. You see, stamina governs everything; from the speed and reactions of your fighter, to their ability defend and attack with grapples and strikes, a fighter simply cannot fight effectively if they are absent the stamina to do so. As such, the act of slowly breaking down a fighter by chipping away at them with energy sapping jabs, kicks, elbows, knees and takedown attempts all add up to create a satisfying sum of digital combat that no other title can really replicate. The career mode in EA Sports UFC 3 now requires players to actively promote their upcoming fights. If you find yourself uninitiated with the sport however, and don't know full guard from side control, or, a kimura from a d'arce choke, the extensive tutorials of EA Sports UFC 3 do a commendable job of cluing you in and getting things started in earnest. Though the multi-faceted approach that EA Sports UFC 3 takes is deep and complex, there is one element that isn't quite up to scratch, specifically how the submissions are handled. Returning from EA Sports UFC 2 for this year's game is the Octagon submission control system, where players must press the right analogue stick in one direction in order to attempt to break the submission hold, and then press the left analogue stick in another to defend against the opponent who is trying to secure a tap out. 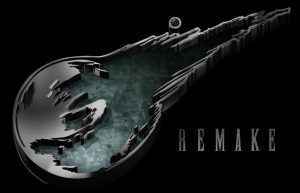 As was the case with the previous game in the series, it remains in this author's mind at least a thing of absolute pump; the worst kind of mini-game distraction that serves to utterly remove you from the frenetically paced action that invariably leads to a submission being attempted in the first place. As a means of trying to remedy this, EA Sports UFC 3 offers an alternative ‘simple' method of submission control whereby players just have to press the correct on-screen buttons in order to secure, or escape a submission hold. Though arguably better than the default submission mechanic, it still falls short of the standard that the striking and grappling aspects of the game have set and thusly makes attempting and defending submissions much more of a chore than they should otherwise be. In terms of the sheer amount of modes available to the player, it's arguably the career mode which has enjoyed the lion's share of the improvements in this year's game. Able to embark on a life-spanning combat career as a male or female fighter, players can either create their own combatant from scratch, or, simply import one of the fighters that already exist; minus their attributes, perks and moves of course. More than ever before, stamina and fitness are vital to the success of your fighter. Once your fighter has been thrust into a career, you'll begin in the minor leagues and smaller fight promotions, earning your name as you work your way up the ranks while the easier opponents that are found early on effectively double up as a dry run for you to finely tune your skills upon. 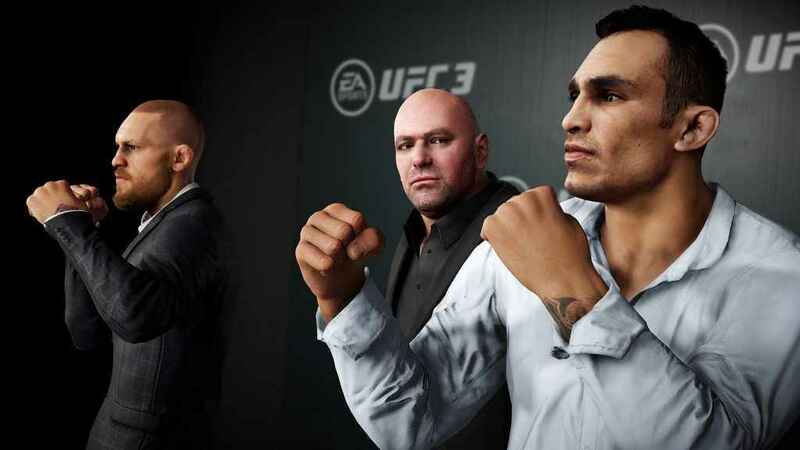 More than just a way to extend the single-player experience, the career mode in EA Sports UFC 3 is a testament to just how much the real-life business has evolved and how well EA have managed to enshrine that change. 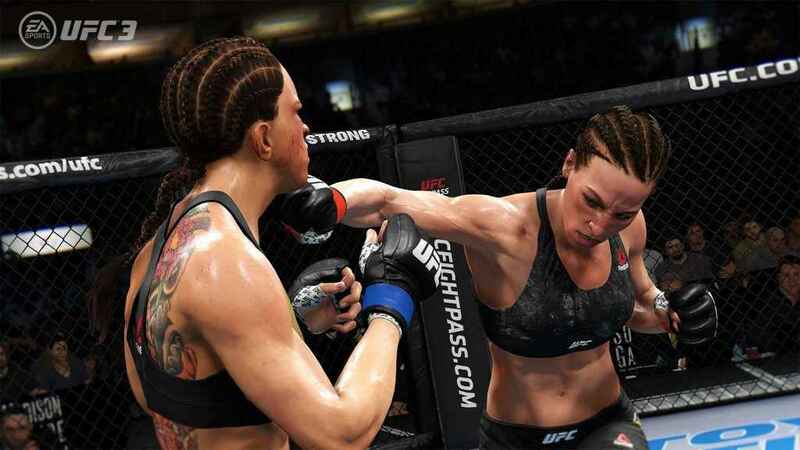 Much like real-life, the career mode in EA Sports UFC 3 is as much about building up your fighter's brand as it is putting fist to face and balancing an in-ring career with training and promotional duties. Once a fight contract has been signed, you're allocated set amount of time to spend as you see fit between promotional and training responsibilities. Broadly speaking, the former, including posting to social media, doing gaming streams and so on, benefit your popularity and hype; the more hyped your fight is, the bigger the fight purse will be to spend on training camps. The latter on the other hand speaks for itself; you can train specific stats, learn new moves or spar with a teammate who attempts to mimic your upcoming fight. There are however, a couple of things to keep a eye on however when it comes to training. The first, is that there are a variety of gyms that you can train at, and each gym specialises a different aspect of the fight craft. The more you train at one gym, the more improvements you get in that discipline and the bigger related bonuses you receive, while likewise, the more prestigious the gym the more it will cost to join and train there. Then there's the matter of fitness. Don't train enough and your stamina will deplete rapidly during the fight; overtrain on the other hand, and expect your fighter to wear down and take more damage in the later rounds. While this is easy enough to manage for the most part, there will be occasions where you'll be forced to take a last minute scrap; leaving you with just a week to prepare and forcing you to compete with little or no fitness training as such fights almost always demand mandatory press duties. The highly enjoyable Knockout Mode from EA Sports UFC 2 returns for players who want to keep things simple. Whether you're building a rivalry with another fighter, rehabbing an injury, learning new moves, attending press junkets, talking smack over Twitter or chasing G.O.A.T status by stringing together as many finishes as possible, the career mode in EA Sports UFC 3 feels like the real thing and is arguably all the better for it. 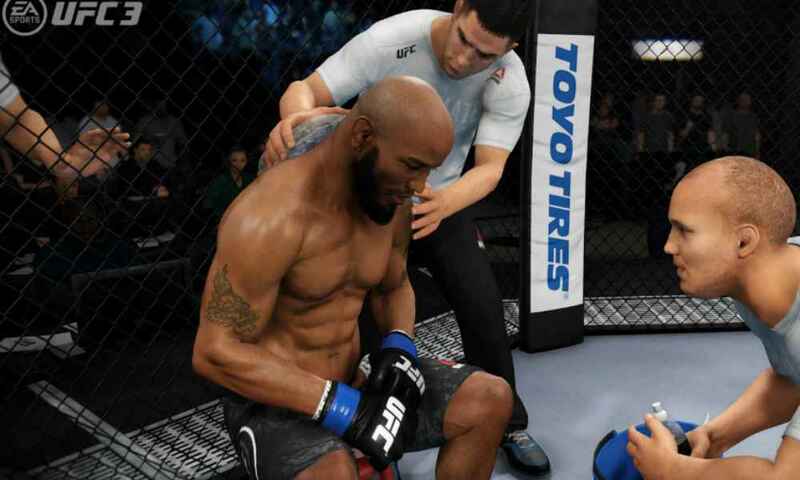 If the slow and calculated burn of EA Sports UFC 3 sprawling career mode intimidates, there are plenty of other much more immediate fistic pursuits that EA's latest allows players to engage with. The greatly enjoyable Knockout Mode returns, once more stripping away the grappling and ground game to focus solely on contests of striking, it proves to be an effective first stop for players who are new to MMA in general and want to test themselves in a more simplified contest of violence. 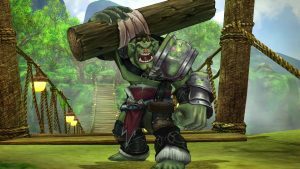 Elsewhere, Submission Showdown is the grappling equivalent of Knockout Mode while bracketed tournament and exhibition modes let you test your mettle against other wannabe fighters in bouts of online multiplayer action. As before, the microtransaction powered Ultimate Team mode remains as deep as ever, tasking players with creating their own fighters and employing existing ones to create a team of their own to take online and fight teams belonging to other players. This time though, the inclusion of additional single-player focused modes do a good job of including those folks who are perhaps a little too shy to take their skills online. Quite unlike the recent furore that surrounded the ill-fated launch of fellow EA product Star Wars Battlefront II, the microtransaction shenanigans of Ultimate Team are purely consigned to this mode and don't affect any other part of the game. Fight Packs can be bought either with in-game coins, or, via a premium currency called UFC Points which can be purchased with real money and can unlock extra characters and moves for you to employ in your team. As before, Ultimate Team has a lot to offer and though you can dig deep into your pockets and buy your way to a decent team, newcomers to the mode will be cheered to know that you can amass a fairly decent number of Fight Packs simply by grinding your way through the competition without ever spending a cent. Finally, there's the matter of EA Sports UFC 3 audiovisual presentation in so far as it's just simply stellar. From a visual standpoint, this is arguably the finest EA Sports UFC has ever looked, with brand new animations making every strike, grapple and transition hold look scarily authentic, while the character designs boast tremendous amounts of detail that allow them deftly mimic their real-life counterparts. PS4 Pro owners especially get a good deal too, as they can choose between graphics modes that favour either resolution or performance; the latter running at 1080p/60fps, the former at a higher than 1080p resolution but locked at a solid 30fps framerate. This is especially notable because playing the game in its performance mode with the higher frame rate has a profound effect on the gameplay, as everything is that much more responsive, crisper and just easier to play all round. Continuing the fine work of EA Sports UFC 2, the commentary in this year's game is absolutely spot-on too, with commentators Jon Anik and Joe Rogan providing timely, relevant and insightful fight commentary that matches the on-screen action perfectly and utterly puts the comparatively disinterested sounding musings of the WWE 2K games to shame. All in all, this is the best UFC product EA Sports have put it out in years. 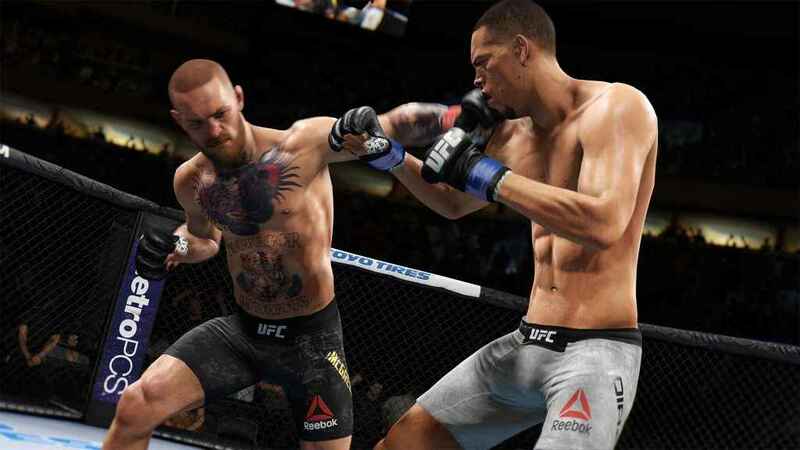 EA Sports UFC 3 is the best the series has ever looked, sounded or played and, despite a small handful of minor shortcomings, is quite simply the best UFC title to date and a very real contender for the fighting game throne in 2018.